"Dusari Aarti Din Dayala, Dhuleva mandap ma jag ajwada "
Not understanding the significance then, these lines from the beautiful composition by Shri Mulchand were making me feel so ecstatic at that moment! Finally, I was on my way to the abode of lord Kesariyaji Adinath which was equated to the "Light of the world" by the poet Mulchand! How beautiful the lord must be! How divine the idol must be that the poet weaved these beautiful words with pearls of his devotion! "Teesari aarti tribhuvan deva, Sur-Nar-Indra kare tori seva!" A sudden jolt of a street bumper brought me back to the by-lanes of the dusty town dotted with jewellery shops each of whose names bear its reverence to the lord of the town – Kesariyanath. Entering through a huge fortified structure, the rickshaw breezed through the massive gates leading to the temple complex. An immense built up of excitement was cropping up within me, an urge was about to be satiated. 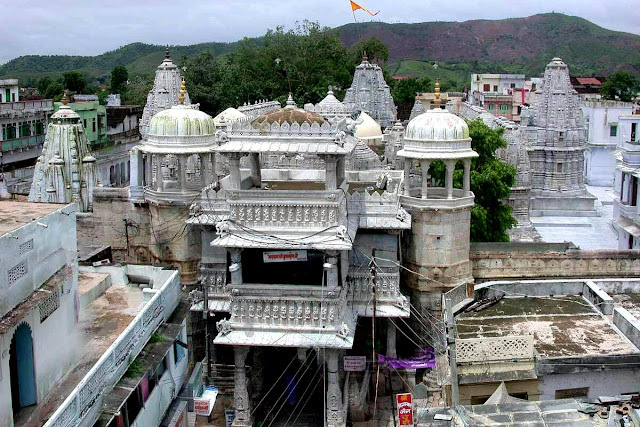 Tucked between the low hills of the Aravalli range, the Rishabhdev Devsthan temple is the centre of the entire activity in Dhulev, situated 65kms from Udaipur on the Ahmedabad-Udaipur Road. Many different legends try to gauge the antiquity of the temple. One of the legends has it that a Dhula Bhil, a tribal man, discovered the idol of Lord Rishabhdev beneath a mound where a Kaamdhenu (self milching) cow used to pour its milk every day. 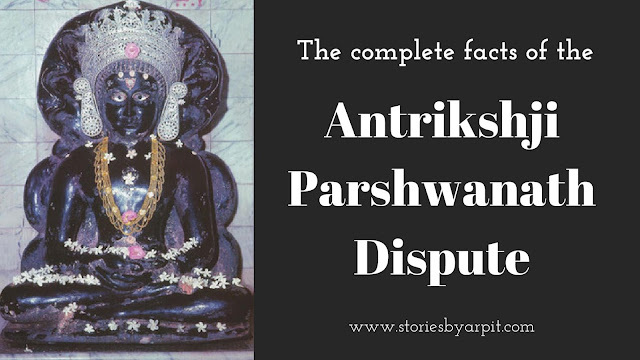 Another legend states that this idol was worshipped by Ravan in Lanka during the period of Lord Munisuvrat Swami and was subsequently taken to Ayodhya by Ramchandraji post which it was taken to Ujjain and then it appeared miraculously in the town of Dhulev. Whatever the legend may be, the fact is not disputed that the idol is more than 1200 years old and is believed to have obtained miraculously. Today the temple is a centre of devotion for Shwetambars, Digambars and the local Bhils. There is a relationship of interdependence between these communities along with the Brahmins, who manage the offerings and prayers at the temple. 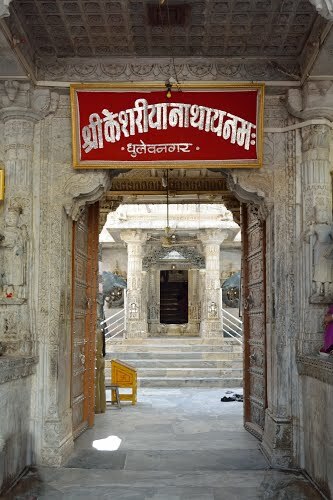 The temple is all about pluralism- Bhils worship the idol as Kalaji Bavaji, Brahmins consider the lord as the eighth incarnation of Vishnu while the fact remains, that it is actually a Jain temple dedicated to lord Rishabhdev, the first Tirthankar of Jainism. The idol of lord Rishabhadev is fondly known as "Kesariaji" because a large offering of Kesar (saffron) is made to the deity daily. The local bhils, deeply revere the lord and start all activities only after paying homage to the idol. The temple management was directly under the Maharana of Udaipur before independence. The revival of the fortunes of the Maharanas was made possible by the Shwetambar Jain ministers, like Bhamashah, who provided funds to re-establish them after they had to leave Chittor. Because of significant Jain influence, the Maharanas became devotees of Lord Rishabhdev and worshipped here. A diamond studded Aangi (coat) was also gifted by Mahara Fateh Singhji of Udaipur which costed a lakh rupees in the early 19th century. The disputes arose as after the rule of Maharanas ended, as the administration claims were made by all the communities namely the Shwetambars, Digambars and other Hindus. The Shwetambars produced “Firmans” by Akbar and Maharana’s of Udaipur granting them the privilege of worship; the Digambars produced evidence in form of temple inscriptions, whereas the State of Rajasthan (State Govt.) contended that the temple was a Hindu temple. The Supreme Court of India in its judgment delivered after considering the material produced, decided in 1974 that it is a Shwetambar Jain temple. 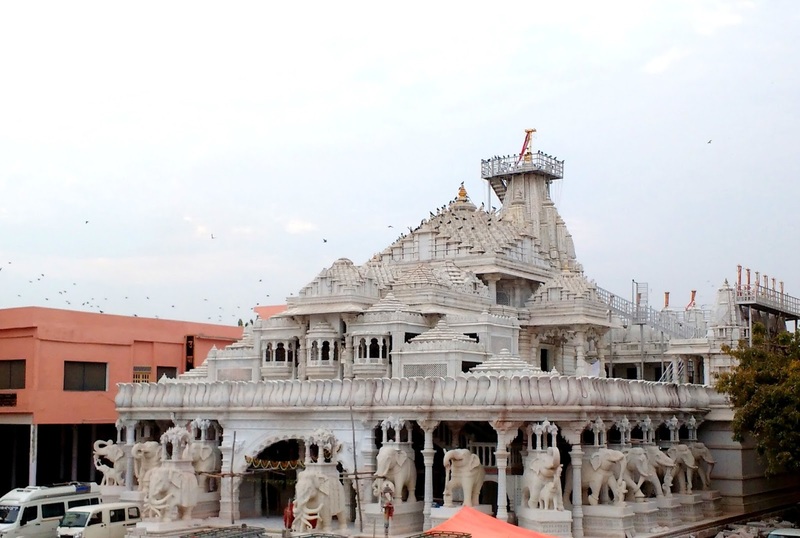 However, since the right to manage the said temple had been taken over by the State of Mewar before promulgation of the Indian Constitution, therefore, Jains had no right to manage the temple after the Indian Constitution came into force. Since the late 18th century, the temple has witnessed many violent clashes between these communities causing a lot of bitterness. A 2007 Supreme Court decision to hand over the administration to the Jain community led to protests and violence by the local Bhils. Having heard about these battles inside and outside the courtroom, I had always been deeply intrigued about Kesariyaji but never received any detailed insight as very few of my acquaintances had frequented the place. Some were even skeptical whether conducting the puja on the main idol was allowed or not, whereas some said that as the place was not like a “typical jain tirth”, it would leave one disappointed. Engulfed with all these thoughts in mind, I made my way through the shops selling saffron and other offerings towards the temple along with many other devotees. The 52 shrine temple complex appeared like any usual bustling temple from a distance with devotees flocking towards the main shrine. Heavily armed security guards from the Rajasthan Police greet the devotees at the gates with their piercing gaze. Two elephants carved from black stone adorn the gateway to the temple. A water clock is placed to the left of the gate as the time here is still measured in “Prahars” (a unit of time, approximately 3 hrs long) by the regulated flow of liquid into the vessel. As photography is strictly prohibited inside the temple, I could not click any pictures of the beautiful temple complex. The ornate carvings of the doorways and walls, considerably darkened by age and lack of maintenance offer a stark difference to the grand jain temples of Rajasthan. The small gateway leads into the rangmandap (outer courtyard) with ornate torans and carvings. An unsual Gita chowki and a marble seat for Bhagwad Gita discourses display the Brahmin angle to the temple. On the right are the stone slabs where saffron is crushed with sandalwood to make a fragrant offering. Just before the courtyard and in front of the main shrine, an idol of Marudevi Mata, the mother of Lord Rishabhdev has been installed seated on a marble elephant ~ depicting the scene of how she attained Kevalgyaan (omniscience) just by witnessing the glory of the lord. I bow to you lord Rishabhdev ! You are the Deliverer from all the miseries of the three realms! You are the Virtuous adoration of this world! You are the Lord paramount of the three realms! You are the Terminator of the unending chain of waves of rebirths! The idol of Lord Keshariyaji, carved in black stone in the padmasana posture is about 3.5 feet tall seated atop the low throne on which two statuettes of oxen are carved, the symbol of the lord. The face of the lord is adorned with flowing hairs, an attribute of Lord Rishabhdev. Surrounding the main deity, are 23 smaller Ashtadhatu (an alloy of 8 metals) idols placed in an ornate Parikar. Although the idol of the lord is devoid of “Chakshus”, the gaze of the lord is so blissful that one can easily get lost watching the lord. The level of the throne is below the floor level, therefore the idol of the lord can be seen directly at one’s height and not above the floor level. 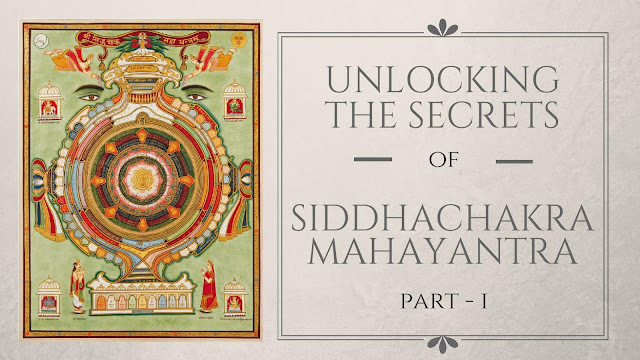 The Shwetambar jains are allowed to offer puja’s as per their traditions and the Digambars offer as per their methods while the main priest stands inside the sanctum accepting offerings from non-Jain devotees. 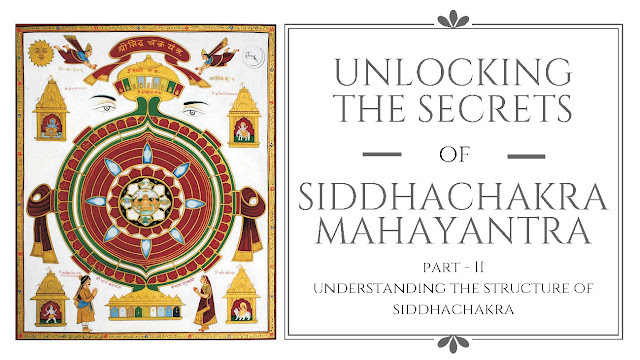 Once inside the Garbha griha, I was completely transported to an ancient era altogether. The gleam of the diyas on the concave glass reflectors illuminated the entire garbha griha adding an aura of divinity to the sanctum. The lord’s idol was adorned with a huge gold crown and garlands and the fragrance of the roses and damro-marwo leaves reminded me of the divine atmosphere of Palitana and Shankheshwar. The first touch of the lord’s feet gave me goosebumps and immense joy! I felt like a humble servant in front of my lord. I felt like a child, experiencing the pure joy of receiving a favourite gift! It felt as if my soul was free from all worldly desires! Each moment of conducting the puja was so blissful that words failed to explain my feelings! Each touch felt like a vibrating pulse. Surely the idol was so mesmerizingly divine, that it attracts pilgrims from all religions! Tuj Sarikho nahi dev jagatma , arvadiya aadhar ! Mata Marudevi na nand, dekhi tahari murati maaru man lobhanu ji !" After witnessing this beautiful divine tirth, I can just say that it was really saddening to witness the tensions brewing within the communities just for the sake of ownership. A religion believing in the teachings of tolerance, Ahinsa (non-violence), in the concept of Aparigrah (non-attachment) and Anekantwad (Non absolutism) should never be involved in such bitter battles. It is time we all leave our individual egos behind and accept the tirth as a temple of humanity. It was heartening to see the confluence of devotees from each of the communities at the tirth offering their respective prayers straight from their hearts! I appreciate the fact that status quo is maintained at the temple and all communities are allowed to conduct pujas as per their traditions. Blessed are the souls in which you reside ! The positive vibrations of the place were not reflected in the outlook of one of my friends as he could not grasp the idea of a tirth where offerings could be made by all. He felt dejected and could not feel at home. He felt more satisfied conducting puja at the grand Gaj Mandir where a replica of the Keshariyaji idol is worshipped as per Shwetambar beliefs. This was the reason , that made me pen this note as I believe that the time has come we start respecting the individual beliefs at Kesariyaji and not bifurcate our faith. I urge everyone to visit the place not as a Digambar, or as a Shwetambar, but purely as a devotee. The Kesariyaji tirth teaches us that devotion cannot be divided over individual beliefs ~ Whether you worship Kesariyaji dada as Lord Adinath or as Kalaji Bavaji, the significance remains that you are a devotee and a true devotee never creates a distinction whether the idol of the lord is depicted with ornaments or as a Nirgranth. In my point of view, it does not matter at all whether you are Shwetambar or Digambar but the thing which matters is that we are follower of Non Violence , we are follower of message 'Live and Let Live', we are follower of 'Namokar MahaMantra', we are follower of Aatma-Karma logic and if we are true follower of above, then whenever we will go in any Jain Temple(Shwetambar/Digambar), then we can never see the lord idol in ornaments or in nirgranth state. Hey Lord! You have left all the materialistic things and reached to the Nirvana state. You were the king of a big state but still you left all these things. I have nothing but still why I am not able to leave these materialistic things.Hey Bhagwan! When that day will come, when I will also start becoming like you !!! Agree with you Gaurav ! The pandas of Kesariyaji Jain Temple asks pilgrims their names . If a person is identified as brahmin , these pandaas says this idol is of lord Shiva. If a person is identified as vaishnav baniya , they will say the idol is of Rushabhdev bhagwan the eighth incarnation of lord Vishnu as shown in Bhagwat Puraan . If a person is identified as Jain , these pandaas will say the idol is of first tirthankar lord Rushabhdev. This way pandaas are creating differences. Show me a temple of lord Vishnu or Shiva with 23 other idols with main idol in padmaasan or kayotsarg position which are common in jain tradition only . You will not find any. Likewise on both the sides of main idol , you will find two naked tirthankars in standing (Kayotsarg ) position. Will you find such digambar posture of any hindu god ? No . no where. Here there is no any shivling in main garbhgruha. Can you find any Shiv temple without shivlinga ? No. To run their business , these pandaas are cheating peoples and make them fools. Original identity of any temple should not be destroyed. Show me any place with Rushsbhdeva as god in any hindu temple . You will not find it any where. Present day Bhagwat Puraan is a corrupt version made by twisting the facts. One should note that birh of Rushabhdev is much ahead of Rama and Krishna who are considered as incarnations of lord Vishnu in hindu religion. No any incarnation of lord Vishnu ahead of Rama is worshiped in prevailing tradition of hindu religion. 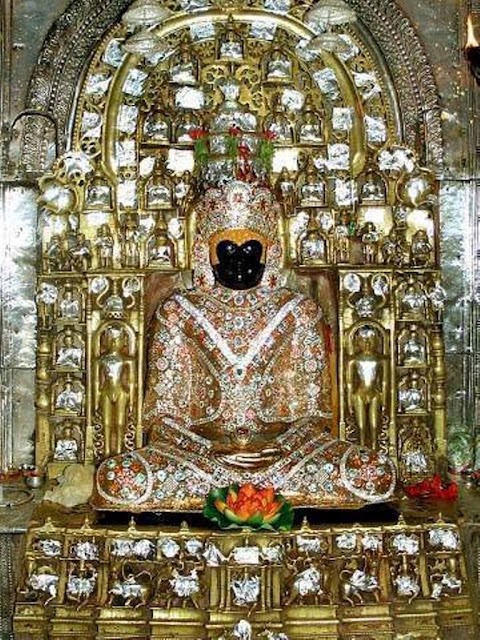 You will find Rushabhdeva as main god in jain temples at Palitana, Ranakpur, Delwada, Kumbhariya etc. Are these all hindu temples ? No.Then why this jain temple is kept under dispute. 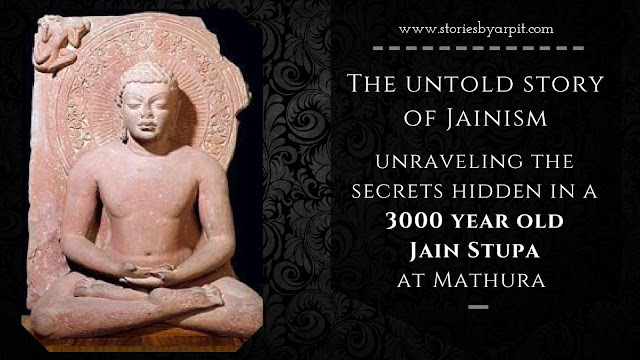 Will you find no of idols of jain tirthankars in any hindu temple ? No. At Kesarijai you will find so many idols of jain tirthankars within temple complex. Ganesh is common deity in hinduism and Jainism. Ram and Krishna are found in jain tradition also and their idols are their in temple complex as a sculpture and not as idol which is to be worshiped. The vyaspeeth created is a modern construction which can be distinguished easily as made of RCC and brick work which you will not find in marble made jain temple. Also show me a single Shiva/ Vishnu temple where saffron is offered . You will find none. This offering saffron is a jain tradition. These pandaas says , when battle of Ramayan was faught , Ravana had kept this idol with him. Now my question is if as per hindu scriptures Ravana was a devottee of Shiva whereas in jain tradition Ravana is shown as devottee of lord Rushabhdeva who is also called Aadinath or Aadiswar . So one should note that chances there are lord Rushabhdeva of jain tradition and lord Shiva of hindu tradition is a same person but no any religious teacher explain about this . One cn check that idol of Badrinath is also an idol of Rushabhdeva in padmaasan posture and so many stories are narrated for this idol which are totally wrong. Let us worship the god with its true identity. I have seen my self almost four times in four different years after year 2007 , that pandaas represent same idol as Shiva/eighth incarnation of Vishnu / first jain tirthankar knowing the person as saivite/ vaishnavaite or a jain respectively. I am not denying the fact that this is a shwetambar jain temple, you are absolutely bang on point on every explanation you have made. I just made a point that as the Shwetambars and Digambars (along with the Brahmins) are engaged in bitter battles, this should be stopped and we should maintain peace and harmony. Thank u Arpitbhai for this note....You have beautifully penned down the description or Keshriyaji Tirth.... I felt the same when I visited the Tirth yesterday for second time. With a tear in my eye I prayed to Lord to bring an end to this difference.